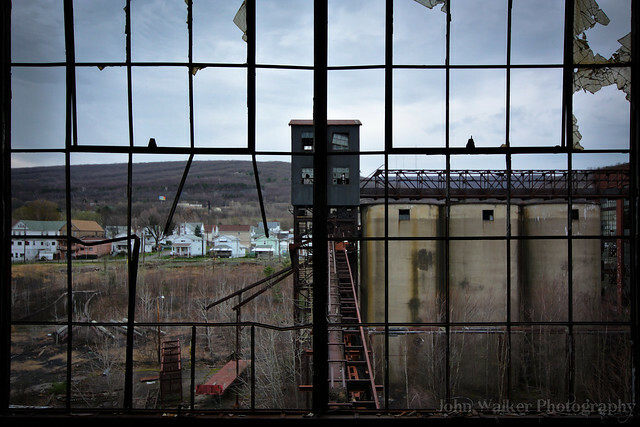 Since it’s closing in 1976, The Blue Coal Breaker in PA has survived the ravages of time. 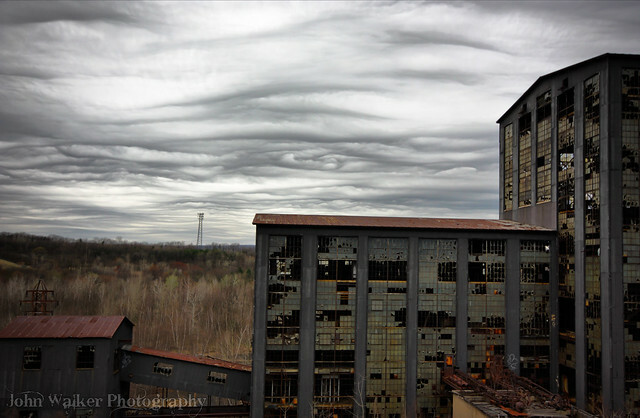 The weather, vandalism and salvage operations have threatened its very existence. When the breaker is seen from the highway, entering our valley from the south, one is reminded of the rich heritage we share in anthracite mining. When construction was completed in 1939, the breaker was the modern wonder of its time. It incorporated technological advancements as well as past architectural milestones that made it useful well past the expiration of deep mining in our area. This testament of longevity is precisely why the Blue Coal Breaker is the last remaining coal breaker of that bygone era. The largest breaker of its kind, built to process several local collierys’ anthracite coal, it also includes six Menzies Cones for coal separation from the culm which accumulated from years of storing mining refuse. Today we see this culm pile reclamation in the form of breaker-like washeries that are rebuilt from site to site, reducing mountains of black coal and rock mixture in a matter of a few years. 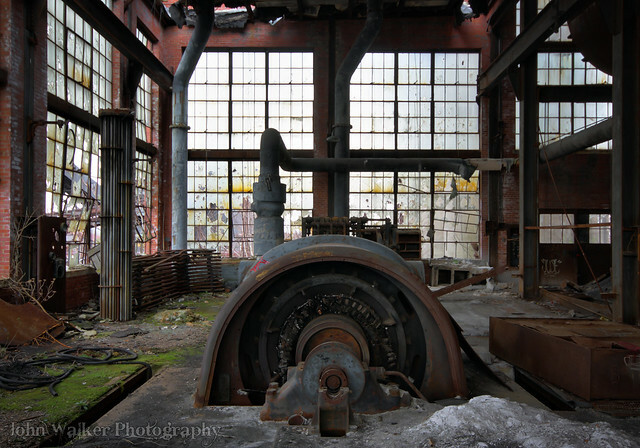 Additionally, Blue Coal Breaker construction incorporated the use of enormous amounts of window glass which aided in the utilization of daylight and most importantly tar coated sheet metal which made the breaker nearly impervious to the elements. This rust proofing was the reason recent architectural tests have proved it to be structurally sound and a fine candidate for present day restoration for future generations to appreciate. 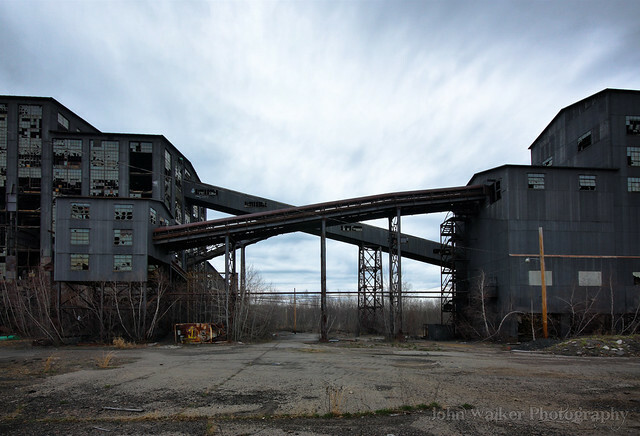 The cause to save the Breaker began in the early 90′s, and the present Breaker Preservation Society has recently gained momentum in securing the land from a private owner for development into an Anthracite Park and Museum. The Society has established itself in Pennsylvania as a non-profit corporation and has a growing active membership that meets on a monthly basis. 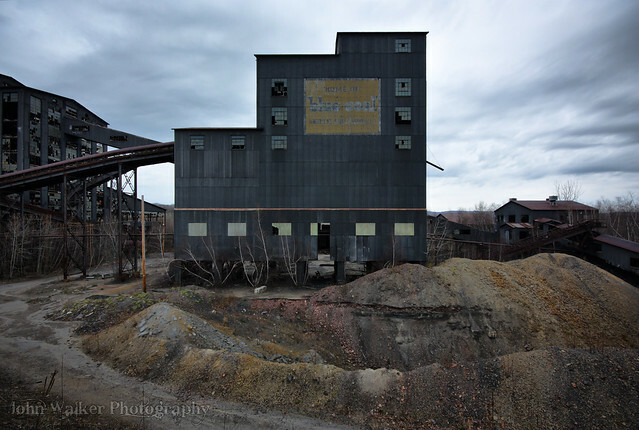 The society is open to new members and is accepting donations to help to save the last original Anthracite coal breaker still standing. Sad to report we are losing the last of the 2 Giant Breakers by I would guess by summer of 2014.so glad to have seen this beauty for some photographs.